We have wonderful diversity of cultures and traditions represented at our school. Our students’ families are from all over the world every continent is represented except Antarctica. Therefore, the holiday season means different things to different students. We honor these different traditions in many ways at our school, specially in this last week before our Winter Break. In my classroom I wanted to focus on the shared tradition of “Light” during this time of the year. 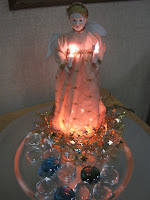 So many cultures and traditions have Light as a theme in their holidays. Most even have some sort of “Festival of Light”. Well, in Social Studies we are still in ancient Egypt so I was curious. Did the Egyptians have a Festival of Light? To my great surprise they did. Herodotus, a Greek historian in BC tells of the festival of Lychnocaia, “the lighting of lamps”. Lamps were lit in rows on the outside of houses around this time of the year to help Osiris find his way back from the underworld. I shared this information with my students. I also found some wonderful pictures of the different expressions of light in Christianity, Judaism, Islam, Hinduism, Buddhism, as well as the story of Egypt and light in the natural world. We brainstormed to understand what Light symbolized. The students thought it symbolized: peace, happiness, life, power, energy - these were their words. I told them that I wanted us to experience some type of celebration of Light but that I knew we could not have lit candles in school since it would be a fire hazard. We could, however, have a string of lights. Thanks to help from Erika Glazzard, a fellow EFL teacher, I had come up with a lovely plan. We would make a walking spiral of light that would lead the students to its center where they could pick up a glass stone that would symbolize a personal excellence quality that they wanted to nurture in themselves in the coming year. 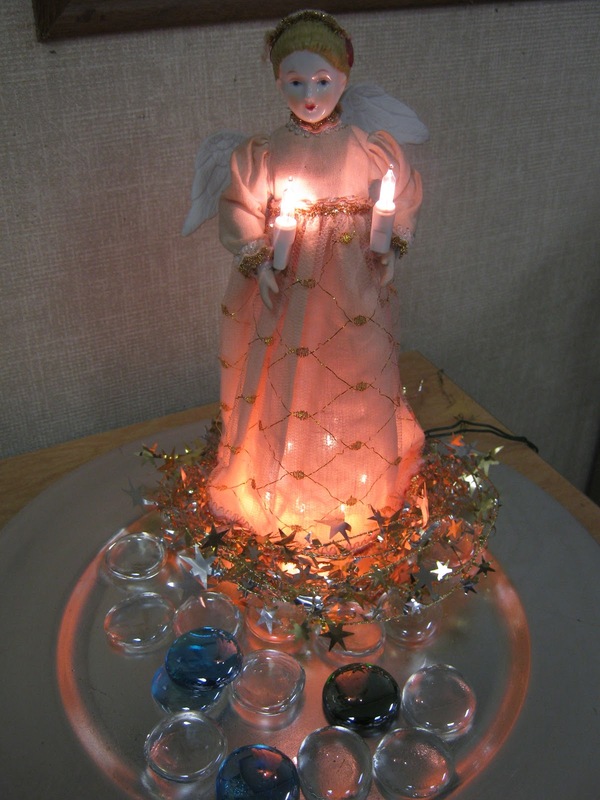 I needed a focal point of light at the center so I brought in an angel that I had from my daughters' childhood. The visual experience of having the lights on the floor was beautiful. It was like walking inside our Milky Way Galaxy. 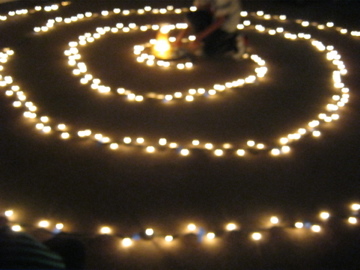 I played Pachelbel’s Canon in D for music in the background as each student made their own way into the heart of the lights. After every one had a turn we sat around and had a few minutes of silence as we all tried to expand our own heart’s light. I’ve asked the students to keep their glass stone to remind them of that special quality that they want to nurture in themselves.